Hi all! I have a terrifying 4-hour final exam tomorrow so I am behind on posting. Luckily, I have a guest post from Megan today as part of the CBB monthly guest post series. She's picked the perfect product(s) ever to go with April's theme of pastels - Bite Beauty Watercolour Lip Gloss Library! Hey guys! 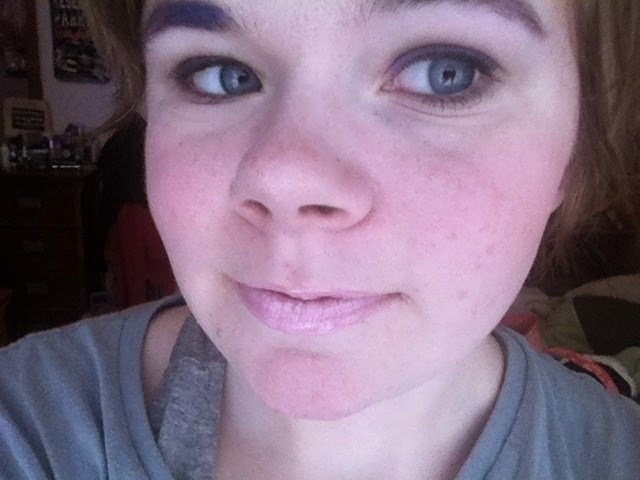 I'm Megan from The Makeup Monologues, and this month's guest post theme was pastels! 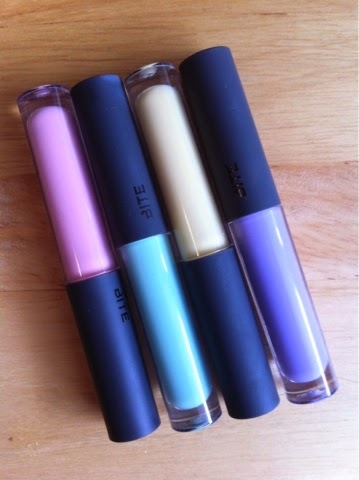 I'll be doing a mini-review of the pastel shades from Bite Beauty's new Watercolour Lip Gloss Library. 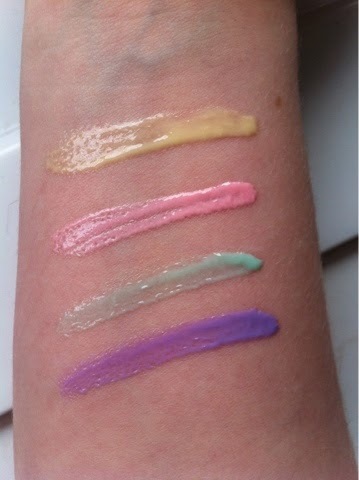 Here are the four pastel shades in all their gorgeous glory! They only have numbers for names, so I'll be referring to them as their colours (Yellow, Pink, Mint and Lavender) for ease of identification. 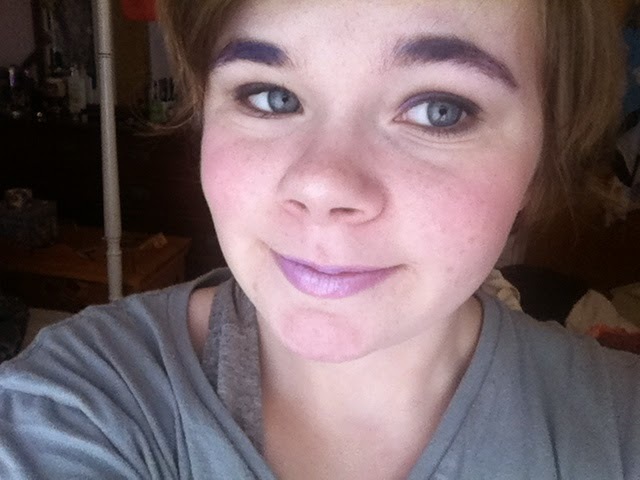 The formula of these is thick and tacky, the wand drags on your lips as you try to apply them. 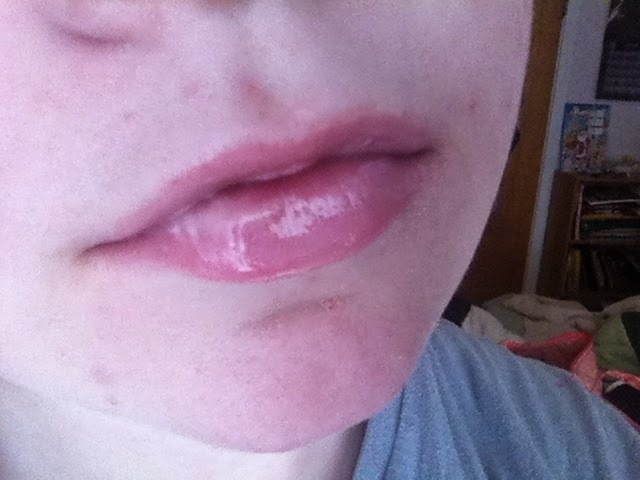 However, I don't find them sticky on, and I adore the light lemony scent and sugary flavor of the glosses. They're rather longwearing, at about 6 hours a pop, which is great for a gloss! 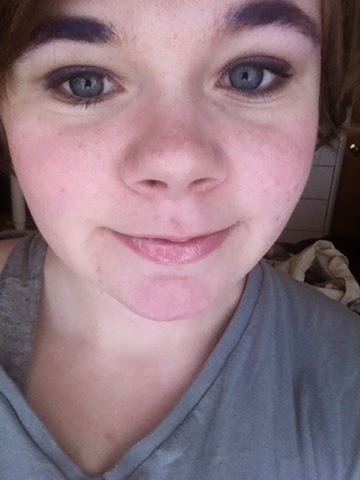 But I bet y'all wanna see how these look on my lips, riiight? Here's Yellow. It's translucent, almost clear. Here is Pink- this one doesn't perform well. 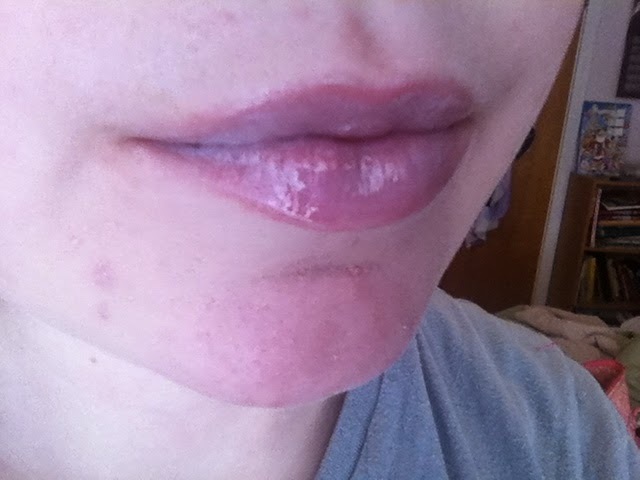 It sinks into lip lines and generally looks like, well, crap. 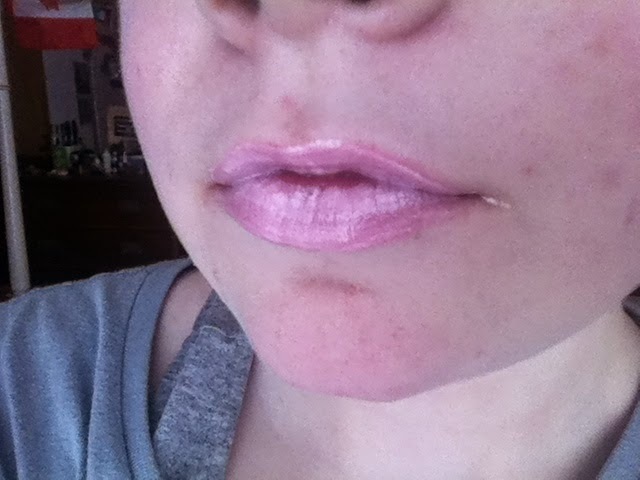 Next up to bat is Mint, which, gasp, looks basically identical to Yellow on the lips. Last and best is Lavender! The sole gloss out of the four to stay relatively true to colour and not look awful. 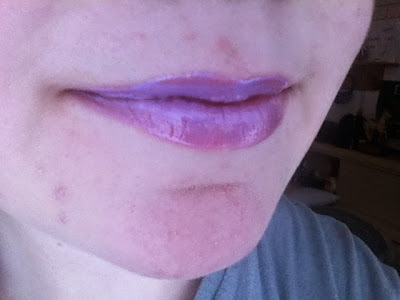 Gorgeous pastel purple lips! Yay! 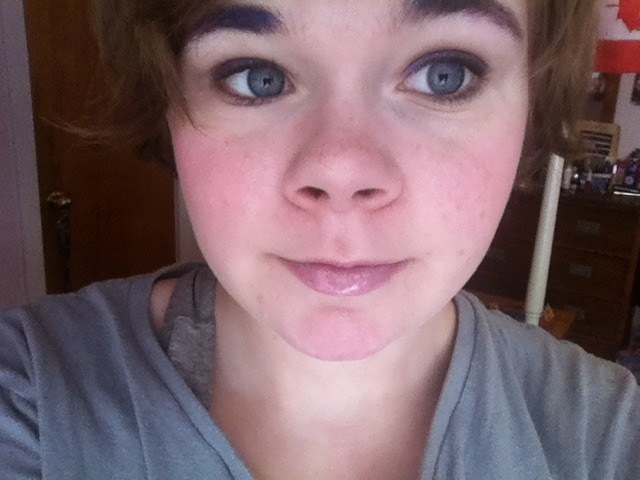 Pastel lips are difficult to acheive, guys. It's very sad that these aren't all up to snuff. I'm okay with it because I bought these mainly to stare at them anyway, but if you're looking for a pastel lipgloss you might want to look somewhere else than the Bite Beauty Watercolour Lip Gloss Library.